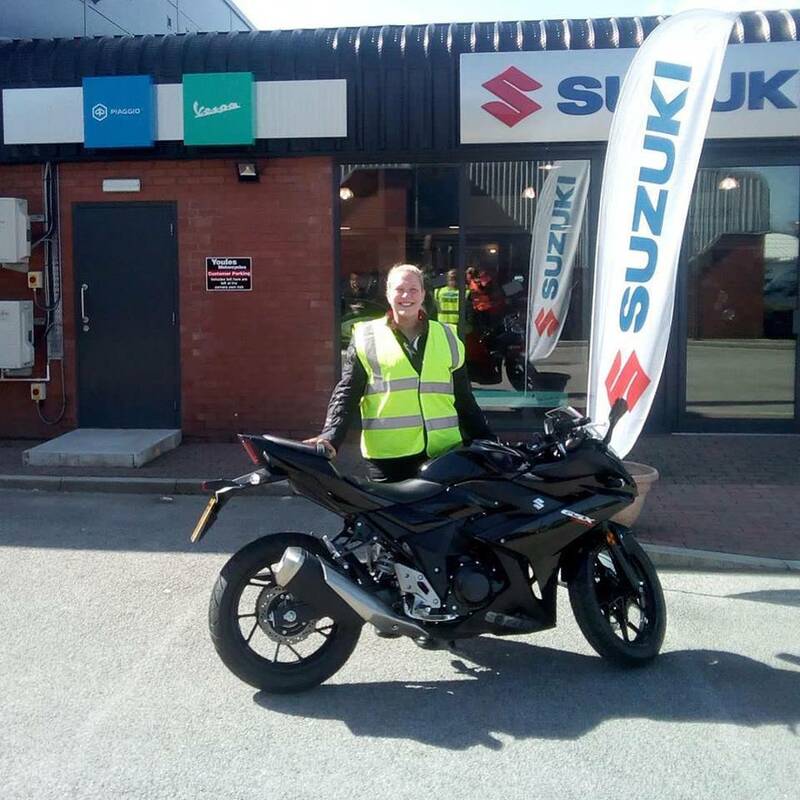 Here's Sarah picking up her Suzuki GSX-250R! After not having ridden since 2001, she came to RJH Motorbike Training’s Blackburn open day last Saturday, spotted the bike, and the rest is history. She booked a back to biking “rusty rider” course there and then, bought the bike, and picked it up today her training day. Hope you have some great rides Sarah. Nice bike Sarah. Glad you enjoyed your day here at RJH Blackburn. Lovely bike from Youles Motorcycle in Blackburn.